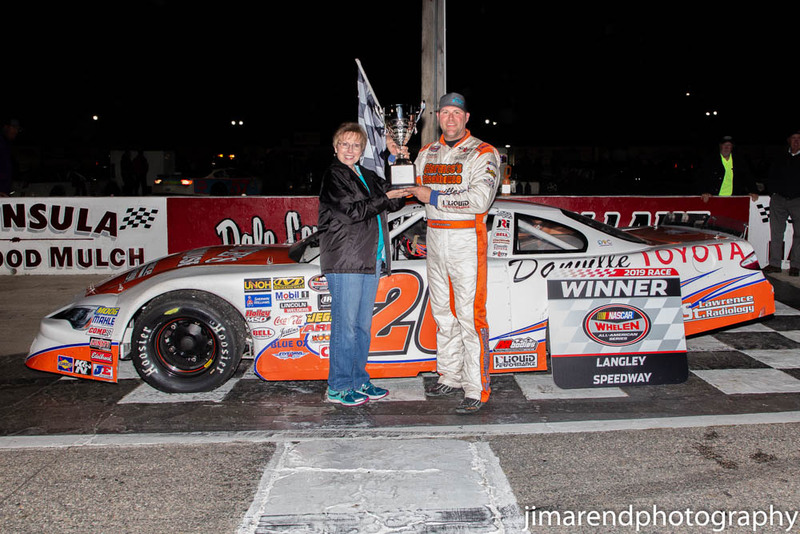 Hampton, VA (4-11-19) Continuing the hot start to the 2019 race season, a special Thursday Night edition at Larry King Law’s Langley Speedway. 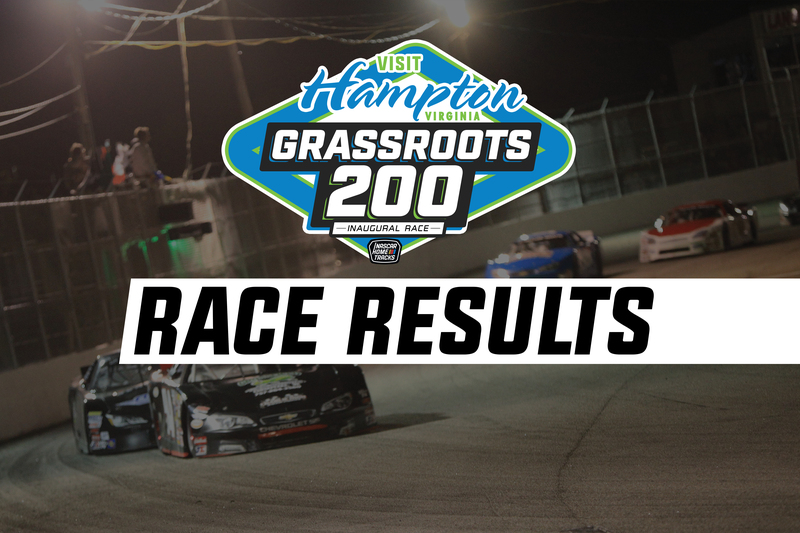 It was the “Visit Hampton Virginia Grass Roots 200” which featured sixteen NASCAR Whelen All American Series Late Models. Sponsored by Taylor Waste Services, the race purse for the feature had seventy five hundred dollars on the line and up for grabs. Also, to make the evening that much better, the Cycle City Corp Bandoleros and Legends were on the schedule, prepared for race duty. There was an exciting championship feel all in the air and the anticipation was through the roof. Here’s a recap of the events and how it all went down. 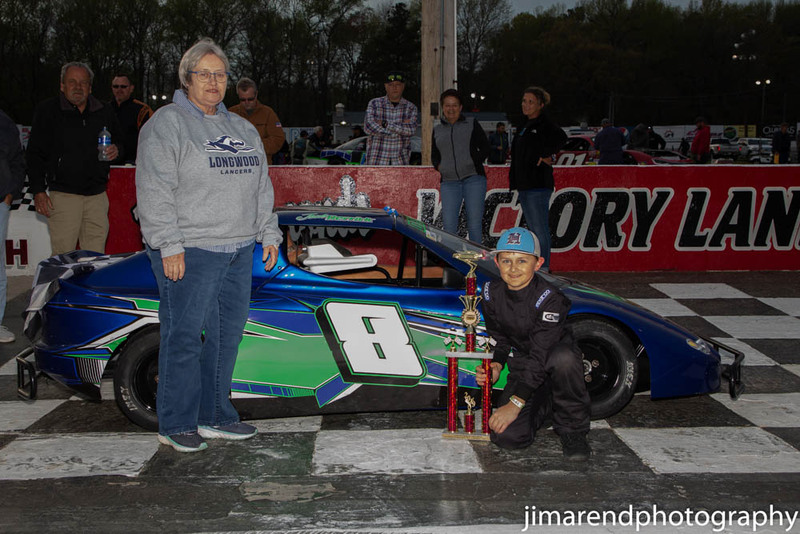 Cycle City Corp Bandoleros 15 Laps: Picking up the Bandolero series pole in the afternoon time trials would be Jacob Derrick. The fast lap setting the pole was 21.139 seconds with Wyatt Philyaw earning the two spot on the grid. Green flag would wave to the seven car field as the pole setter Derrick showed the grid into turn one. By turn two, Derrick had secured the point as then, lap one went up on the board. Soon after, Wyatt Philyaw took a shot at the lead but couldn’t get around the leader and settled back in line. Also joining the fray was Ryley Music as the leaders were all single file, nose to tail. Halfway was much the same as the leaders at this point were merely riding and looking for a mistake at the leader’s line. Ryley Music was able to get around Philyaw to take second but the laps would run out as Jacob Derrick took the checkered flag. Derrick had this to say from Victory Lane, “When Wyatt the twenty two was on the inside of me, the forty seven Riley helped me out a lot, he pushed me. Id like to thank my dad, my mom and my papa, Randy, Rita and everyone who helped me work on this car”. 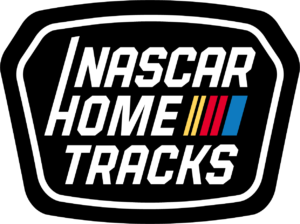 Taylor Waste Services Late Models 200 Laps: Phillip Morris took the race pole sporting a 15.645 second lap bettering CE Falk’s lap by only forty thousandths to earn the two spot in the grid. With row one set for the two hundred lap event, Josh Berry, Danny Edwards Jr and Greg Edwards rounded out the five best in qualifying. Notables were Peyton Sellers who would start sixth, Thomas Scott tenth and long time Late Model racer Eddie Johnson starting thirteenth. Green flag waved to the sixteen car field with pole sitter Phillip Morris showing the way. CE Falk from the outside would make a brief challenge for the lead but soon tucked in behind Morris as lap one went on the board. Greg Edwards was the early mover in the bunch going fifth to third and breaking into the top five was Peyton Sellers. Rest of the field clearly went into ride mode but up front, Morris wanted to go and soon built up a ten car length lead over Falk. By lap twenty five, Morris had backed down his race pace but soon began to put the slower cars a lap down. Well into the long green flag run, Greg Edwards was able to close in on the leader with CE Falk, Josh Berry and Peyton Sellers as the top five. Just shy of the lap eighty break saw lap traffic hold up the race leader allowing Greg Edwards to pull within a car length and even thoughts on trying Morris for the lead. But the disciplined veteran backed off as the lap eighty break slowed the field giving them the option to come to pit road. Greg Edwards became the new race leader when Phillip Morris came to pit road to pull on his fenders. With the green flag back in the air, once again a tense and speedy start as Josh Berry began to harass the race leader Greg Edwards. Laps later, with position underneath, Berry makes his move and becomes the third leader of the race. Century mark would go up on the board with Josh Berry continuing to lead, Falk, Sellers, G Edwards and Thomas Scott made up the top five. Another long green flag run had Josh Berry leading the field and maintaining his six car length lead. With the lap one sixty break soon to be, CE Falk collapsed Berry’s lead when suddenly, the race had its first caution. Just three laps before the break, the leader Berry would spin off the bumper of CE Falk to bring out the caution and coast into the lap one sixty break. Falk was ordered to the rear for aggressive driving with heavy damage on his right front. With forty laps remaining, Peyton Sellers was shown as the leader, Thomas Scott, Greg Edwards, Phillip Morris and Mark Wertz were the top five at the restart. Green flag was back in the air and setting sail was race leader Peyton Sellers. But then the second caution flag to the race when Thomas Scott went around from suspected contact with Morris. Green flag racing was over the speedway and Sellers continued to lead. Mark Wertz soon found himself in second with Greg Edwards, Phillip Morris and now Justin S Carroll lurking as the top five. Laps whining down, Greg Edwards took second and turning his attentions to the race leader. But more race drama ensued when CE Falk who was on the move and headed to the front got into the back of Morris who then smack the turn three wall for the fourth caution to the race. After a brief red flag, we were back under green and Peyton Sellers as the leader. Greg Edwards tried the outside but had to come down and follow the leader. Laps later, Josh Berry was able to get by Edwards for second and soon nipped away at Sellers three car length lead. 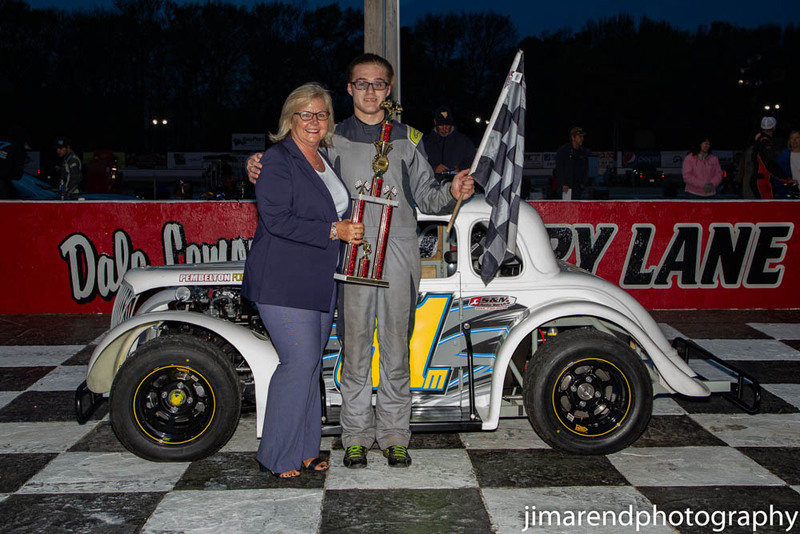 But the laps would run out for Berry as Peyton Sellers crosses the stripe first for the race win. Peyton Seller from Victory Lane, “First off, to God be the glory”, the exhausted race winner proclaimed. “Man, it’s amazing, these races are so hard to win, we beat the best in the business tonight. Josh Berry has got his game on right now, those JR Motorsports guys are tough. Phillip came on strong early but had a tough time getting back up there. Man, this is unbelievable, we loaded up the dually yesterday afternoon, just the four of us, came out here and taking the money back to Danville”.